Claes Lundblad was educated at the University of Lund (LLB 1969). After Court service he joined Mannheimer & Zetterlöf in 1972. Admitted to the Bar in 1976 he was a partner at Mannheimer & Zetterlöf 1977 – 1990. Following a merger he was a partner at Mannheimer Swartling 1990 – 2008 and the senior partner of that firm 1997- 2002. For many years Claes Lundblad was the practise head of the Dispute Resolution Group at Mannheimer Swartling. In 2008 Claes Lundblad became a partner at Roschier to lead the Stockholm Disputes Group of the firm. In 2013 Claes Lundblad resigned from Roschier to found with Claes Zettermarck a new firm, Lundblad & Zettermarck. Claes Lundblad was the resident lawyer at the Rotterdam office of Mannheimer & Zetterlöf 1974 – 1977. Between 1996 – 2000 was a member of the Council of the Swedish Bar and 2003 – 2009 Claes Lundblad served at the Swedish member of the ICC International Court of Arbitration. 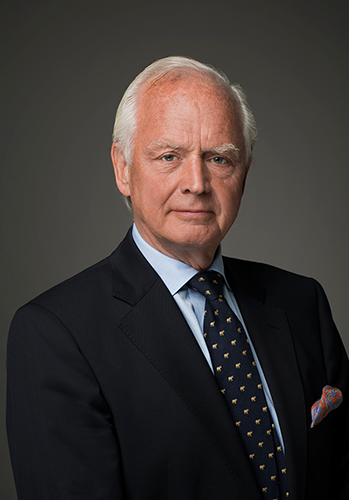 Claes Lundblad is the founding member of the Swedish Arbitration Association whose first chairman he was. He is also a member of London Court of International Arbitration (LCIA), the International Bar Association and other professional organisations. In his career Claes Lundblad has done substantial work in general contract law, financing, shipping and energy. As an international arbitrator he has wide experience of general contractual disputes in a variety of fields. He has special experience in joint ventures, banking, construction and shipbuilding and in the energy sector, particularly involving oil, gas and other hydro carbons. Writings by Claes Lundblad include articles on arbitration and civil law procedure and deontology. Claes Lundblad language skills include Swedish and other Scandinavian languages as well as English with reading capability in German, French and Dutch.